Liver fibrosis is characterized by repeated or continuous damage to liver resulting in an abnormally large amount of scar tissue in the liver. Fibrosis does not show any symptoms, however severe scarring results into cirrhosis, which further leads to cause symptoms. To detect the severity of disease, healthcare professionals conduct blood and imaging test, followed by liver biopsy, if required. In the possible treatment options for liver fibrosis, healthcare professionals focus on treating the cause, which often stops and slowdowns further scarring of liver and results in improvement of condition. The possible treatment options for liver fibrosis include use of antiviral drugs, removal or dissolve of a blockage in the bile ducts, lifestyle changes such as lower consumption of alcohol, control regime for obesity and overweight, and controlling blood sugar & lipid levels in people with nonalcoholic fatty liver. Furthermore, research funding by various private research organizations to conduct research related to development of treatment for liver fibrosis and other fatty liver disease is expected to spur growth of liver fibrosis treatment market. For instance, in August 2018; professor from College of Science at Virginia Tech and Department of Pharmacology at the University of Virginia received US$ 400,000 grant from the Virginia Biosciences Health Research Corporation (VBHRC) with US$ 800,000 matching funds from Continuum Biosciences, Inc. This grant along with matching funds will help researchers to develop drugs to treat nonalcoholic steatohepatitis (NASH). The global liver fibrosis treatment market size is expected to witness a CAGR of 10.8% over the forecast period (2018 – 2026) reaching a value of US$ 28.1 billion in 2026. Liver fibrosis results from various chronic injuries and it often progresses to liver cirrhosis, liver failure, portal hypertension, and hepatocellular carcinoma. Moreover, liver transplantation is only treatment available for advanced stage liver fibrosis. Therefore, new treatment strategies are currently in clinical development stages to treat the liver fibrosis. These treatment option include inhibition of hepatic injury, inhibition of activation of Hematopoietic Stem Cells (HSCs), and inhibition of proliferation of HSCs, inhibition of deposition of type I collagen and proliferation of HSCs. Treatment options for liver fibrosis are usually depends on the underlying cause of the fibrosis. A healthcare professional can treat the underlying liver fibrosis illness conditions, to reduce the effects of liver disease. Furthermore, key players in the liver fibrosis treatment market are engaged in pre-clinical and clinical studies to develop novel treatment therapies in liver fibrosis regime. For instance, in March 2018, the U.S. FDA granted Orphan Drug Designation for PTG-300: a subcutaneous injectable developed by Protagonist Therapeutics, Inc. The PTG-300 is currently in clinical development stage for the potential treatment of beta-thalassemia, and can also be used in the liver fibrosis treatment. For instance, Gilead Sciences, Inc., in October 2017, released the Phase II result studies for Selonsertib: GS-0976 in Nonalcoholic Steatohepatitis (NASH) stage F3 liver fibrosis. These studies reported that, GS-0976 led to significant reductions in concentration of liver fat and fibrosis. Moreover, Gilead Sciences also contain 18 other pipeline molecules in the liver fibrosis treatment, which is further expected to boost company’s revenue in near future. In April 2017, Tobira Therapeutics, Inc. initiated the clinical study to confirm the efficacy and safety of cenicriviroc (CVC) for the treatment of liver fibrosis in adult patients with NASH. The study is expected to complete in July 2019. In April 2017, Bristol-Myers Squibb Company presented the Phase II clinical trial study of BMS-986036: a human fibroblast growth factor. The study results reported that BMS-986036 shows consistent improvement in liver fat, liver injury, and liver fibrosis in patients with Nonalcoholic Steatohepatitis (NASH). Increasing number of clinical trials are currently in process for the treatment of liver fibrosis, which are expected to augment the market growth over the forecast period. North America market accounted for the largest market share, followed by Europe in 2018. This is owing to increasing burden of potential risk factors leading to liver fibrosis such as obesity, type 2 diabetic, metabolic fibrosis, alcoholic fibrosis, non-alcoholic steatohepatitis (NASH), non-alcoholic fatty liver disease (NAFLD), among others. For instance, according to the NASH Education Program, 2018 data findings, NAFLD is most common chronic liver condition in Western population of economies in the Europe and the U.S. region as compared to obesity and type 2 diabetes epidemics. Furthermore, the prevalence of NASH is expected to increase by 63% between 2015 and 2030, leading to NASH become a major cause of liver transplantation in the U.S. by 2020. Furthermore, according to the World Health Organization (WHO), in 2016; more than 1.9 billion adults, 18 years and older were overweight, among which around 650 million were obese. According to Organisation for Economic Co-operation and Development (OECD): Obesity Update 2017 report, obesity levels are expected to be particularly high in the U.S., Mexico and U.K., where 47%, 39% and 35% of the population respectively are projected to be obese in 2030. Some of the key players operating in the liver fibrosis treatment market include Gilead Sciences, Inc., Merck & Co., Inc., Bristol-Myers Squibb, Johnson and Johnson, Novartis AG, Vertex Pharmaceuticals Incorporated, Pfizer Inc., FibroGen, Inc., and Pharmaxis Limited. Healthcare professionals focuses on the treatment of liver fibrosis by treating the cause of liver fibrosis, to stops or slows scarring of the liver. Chronic alcohol drinking, autoimmune hepatitis, storage and metabolism disorders such as Wilson disease, Galactosemia, Fructosemia, glycogen storage diseases, iron-overload symptoms, Gaucher disease, some of the bacterial, parasite and viral infections, disorders affecting hepatic blood flow, among others are some of the possible risk factors associated with liver fibrosis management. Furthermore, liver fibrosis treatment market is witnessing increased pace in the NASH treatment. The underlining prevalence cases of Non-alcoholic Steatohepatitis (NASH) are expected to increase in future with increasing number of population consuming high fat diet. Increasing obesity and diabetes epidemics, liver fibrosis, and NASH are expected to drive market growth, as key players are focused on developing treatment for this disorders. Increasing incidence of liver fibrosis, along with growing prevalence of risk factors such as chronic infection with hepatitis B or C virus, compromised immune system due to co-infection with HIV or use of immunosuppressive drugs after a liver transplant are expected to fuel growth of the liver fibrosis treatment market. Furthermore, growing collaborations and research in order to treat liver fibrosis are expected to spur the liver fibrosis treatment market growth. For instance, in October 2015, professors from University of Newcastle made collaboration with GlaxoSmithKline (GSK) plc to develop drugs, which can stop or reverse liver fibrosis. The aim of collaboration with GSK is to identify existing drugs and develop new compounds, which target myofibroblasts in the treatment of liver fibrosis. This report provides in-depth analysis of liver fibrosis treatment market, its market size (US$ Million) and Compound Annual Growth Rate (CAGR %) for the forecast period (2018 – 2026), considering 2017, as the base year. Key companies covered as a part of this study include Gilead Sciences, Inc., Merck & Co., Inc., Bristol-Myers Squibb, Johnson and Johnson, Novartis AG, Vertex Pharmaceuticals Incorporated, Pfizer Inc., FibroGen, Inc., and Pharmaxis Limited. 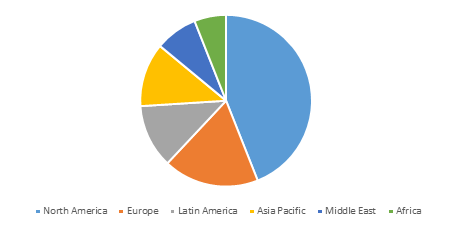 The global liver fibrosis treatment market report caters to various stakeholders in this industry including investors, researchers, liver fibrosis treatment drug manufacturers, distributors, new entrants, and financial analysts. Stakeholders would have ease in decision making through the various strategy matrices used in analyzing the liver fibrosis treatment market. *Browse 24 market data tables and 28 figures on "Liver Fibrosis Treatment Market - Global forecast to 2026”.